WHY does my school trip cost £300? What is included in the price? How much spending money will I need? How many pounds is 25 Euros? These are some of the questions tackled as part of an innovative programme to help teenagers learn about managing their money. “Financial capability” is now on the National Curriculum for the first time and presents a challenge for teachers who may not be confident in handling their own finances, let alone giving sound and relevant advice to their students. Jackie Matthews, from Hanham , mother of two teenage girls, could be their salvation. After 25 years working for NatWest, she has developed Libra Learning, a business devoted to delivering financial education to people from the age of nine to adulthood. Jackie has been working in schools across the Bristol area for the past year and has met an enthusiastic response from staff, children and parents. 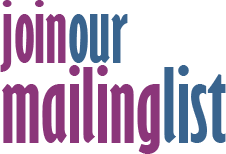 She has developed a range of activities to suit all ages and abilities, from a one-off single lesson to a series of “preparation for life” sessions with sixth-formers and full-day enterprise projects for the younger years of secondary school. Some of the projects – such as the one planning a trip to Madrid - have been inspired by her own daughters’ experiences. Jackie, who did schools outreach work for the bank, has also created unique resources, including template bank statements and pay slips as well as interactive games. “Now that I am independent I am not limited to branded materials but can use the best resources I can find and can give impartial advice,” she said. Enterprise days, in which students create and plan a new restaurant concept, have proved popular, developing life skills as well as financial education. As well as tackling financial issues such as interest rates in their maths lessons, secondary school pupils are expected to learn in citizenship classes about the link between public funds and personal finance – how and why taxes are raised and spent – so Jackie’s programmes cover these areas too. Academies and free schools are not obliged to follow the National Curriculum, but most of them, as well as independent schools, recognise the importance of helping young people become financially savvy. 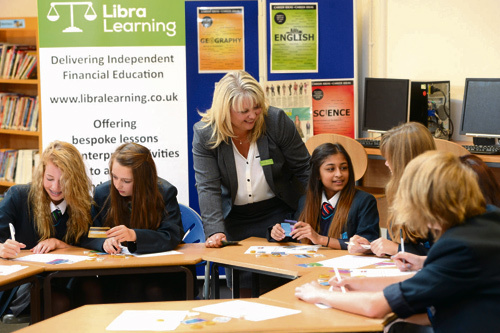 Cotham School and Redland Green School are among the schools that have taken up Libra Learning’s programmes. Money matters are not compulsory in primary schools yet either, but Jackie has piloted sessions with 10 to 11-year-olds at St Anne’s School in Oldland Common on topics such as earning pocket money, saving it, planning how to spend it, and understanding a bank statement, and has already attracted considerable interest from other primaries.